Inbound marketing is the revolutionary strategy to align with the new age consumer’s buying habits. Marketing & Advertising industry has realised how the consumer’s behaviour has changed to a better way of consuming information as per their liking rather than considering what you want them to see. WHY is a real estate inbound marketing strategy necessary? All through these years, advertising industry has gone through a lot many inventions but less of innovations. New channels through which advertising could be done kept on evolving. Print, Radio, Television Commercials, Digital etc are different channels through which advertising is being done but the method has remained the same all these years. Inbound marketing is a significant innovation that promises to change the age old media buying habits and instead takes an organic approach. This methodology, which is applicable to any domain, has special benefits for the real estate domain. Read further to understand why we say that inbound marketing for real estate has a huge potential. According to the National Association of Realtors (NAR) majority of home buyers searched for properties online before taking the final decision. In fact, the NAR reported that 84% of all buyers consumed information found online that played a significant role in their home buying journey. Facts like these unlock a whole new dimension to explore and adopt. Since your prospects are already searching for what you are selling, it’s just a matter of being found where they are searching. And this can be achieved when you have insights about where your prospects are and what type of information they are looking for. When you have a clear purpose of educating, sharing knowledge and building a bond with your prospects, they feel valued and trust you! When your information is helpful to them, they will associate your brand as the one that guides and aids them in their buying process. You distinguish yourself from other brands that just want to force their product or service onto their prospects. This way, an inbound marketing strategy for real estate opens a whole new aspect in brand awareness and loyalty. Your website and other online assets are pivotal to this marketing strategy as researching the internet is the first thing your prospects do before purchasing anything. All that you have to take care of is to nourish them with helpful & relevant information at each stage of their buying journey. Thus ensuring they come to your website and buy your product and not your competitor’s. 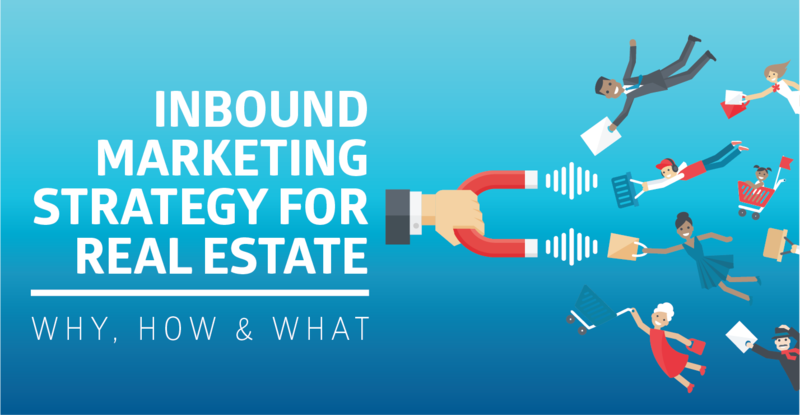 HOW does a real estate inbound marketing strategy deliver results? The real estate inbound marketing strategy works on the basic concept of "pull marketing" instead of the "push marketing". Not just for real estate but for any other domain as well, the inbound methodology works on the same concept to deliver much more effective results. It is a scalable and sustainable approach! 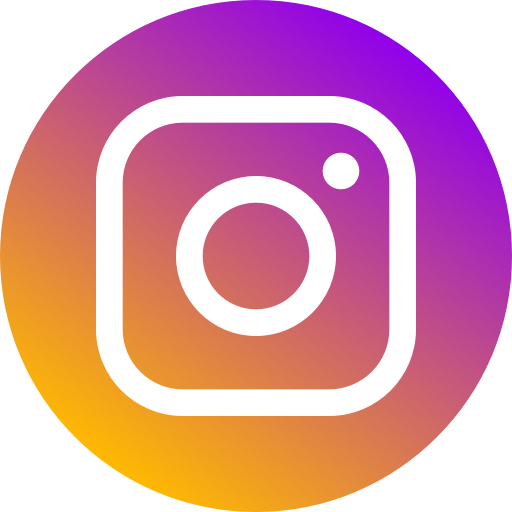 Creating helpful, relevant and timely content and making it available across the right platforms helps you connect with your prospects naturally and easily. Since the prospect is already in need for information to solve his/her pain points, you position yourself as their problem solver and attract them to your website and content. In short, it’s all about giving out and reaching to help rather than just expecting to receive at every touch point. When you willingly give out first, it eventually comes back to you and that’s how an inbound strategy works and delivers results in the real estate industry as well. Brand awareness needs a lot of visibility and advertisement. And that's expensive! Also, is there a guarantee that you will spread your brand awareness to your exact target audience? Map every penny spent and analyse the cost per lead from every channel leveraged. Specifically aims to target your group of interested buyers. The main driver here will be the content that you produce for them. Ease of functionality and inbound methodology in itself is conducive to support your brand and gain brand awareness. When a prospect consumes information from your content pieces, automatically he or she establishes a bond of loyalty with your brand since the content you provided them helped solve their problem. 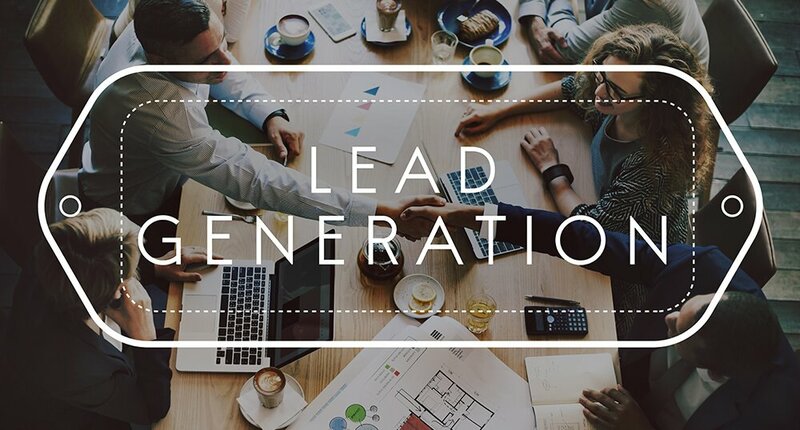 The main objective behind using the inbound strategy is to solve your prospects’ problems or queries at each stage of their buyers journey and become a guide for them such that eventually they choose you as their preferred solutions partner. This provokes the buying action in them! This is your ultimate goal. Customers gained in such a manner last a lifetime and become your Brand Evangelists. WHAT does real estate inbound marketing strategy constitute? Now, here comes the actual grind! You would be happy to know, an inbound strategy is scalable as well as flexible. Through real-time metrics, it’s possible to make constant adjustments to content, lead nurturing tactics, budget and internal/external expectations. With this in mind, checkout the core aspects of an inbound marketing strategy plan. S.M.A.R.T Goals: These are organisational goals outlined by your leadership, such as increasing Q1 revenue by 25% compared to last year’s Q1. KPIs: How many leads were generated in the quarter? or What was the MQL to SQL conversion percentage? Competitor Analysis: Understanding what your competitors are doing and where you are lacking (in terms of inbound activities like blogging, content offers, etc.) is pretty important if you want to outrank them. Buyer Personas: Buyer personas paint a vivid picture of the exact “person” you’re targeting with your inbound marketing efforts by clearly defining their background, roles and responsibilities, key motivations, personality, goals, challenges/pain points, etc. Buyer’s Journey: A personas buyer journey has 3 main stages - Awareness, Consideration and Decision. Decision stage - you tell them how you can exactly solve their problem with your service/product and why you can become their preferred solutions partner. SEO & Website: SEO helps your site rank higher in organic search. Since many users don't go beyond the first page--and sometimes the first few entries--of results, the faster you appear as a potential solution to their particular pain point, the likelier you are to generate traffic. Your website is the most essential aspect of an inbound marketing strategy since all content that you produce will be published on your website. Since, your ultimate goal is to get prospects to your website and eventually convert them into long-lasting customers. Content Offers: Providing value and incentives to your prospects is done through content offers. A content offer is any downloadable asset created by you which will help your prospect in their buyer’s journey and in exchange you earn their contact details. This way you capture & then nurture your new leads. Examples of content offers are - Blogs, Guides, Ebooks, White-papers, How-to videos, Infographics, Case studies, Comparisons between services/products, etc. It provides solutions to your prospect's problems. It helps to build trust with them. It drives organic traffic through SEO. It generates more qualified leads. It builds the company’s reputation. It sets you apart from the competition. The success of your inbound marketing plan is truly a team effort. Don’t make the mistake of thinking one department, or worse, one person, can successfully satisfy all of the necessary skill-set requirements. Finally, if you are looking for an in-depth content strategy or an inbound solutions partner feel free to contact us and come over for a discussion!